Implementing an in-line weighing scale results in increased order accuracy and customer satisfaction. Achieving the highest possible outbound quality and low error rates is a key performance indicator (KPI) in any warehouse. The aim is to avoid customer complaints and expensive returns. Adding an in-line weighing scale is a simple yet highly effective solution for identifying errors and it eliminates the need for manual random outbound checks. By comparing the actual weight of a bin or box with the theoretical weight after order picking, it immediately becomes clear whether the content is correct. 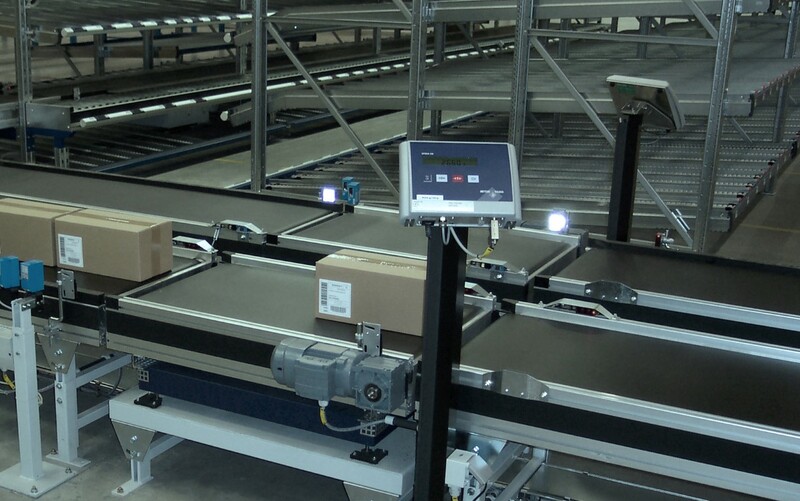 Weight can be monitored either at a workstation at individual order-line level or as a final check of the total order. In order to isolate weight fluctuations of empty boxes/totes, check weighing is often combined with a tare weighing at the start of the order. Boxes or crates which exceed the specified tolerance range are diverted to an error station for further investigation. At Inther, we supply weighing scales in various designs: in-line or stand-alone, dynamic or static. With static weighing, the bin or box is weighed when stationary. In the case of a dynamic weighing scale, the weighing mechanism is integrated into the conveyor belt and goods are automatically weighed as they pass over it, without stopping. That provides extra conveying speed and capacity if needed.